Some of my students are having the HARDEST time with measurement facts which is vital to mastering common core standards 4.MD.A.1 and 4.MD.A.2. 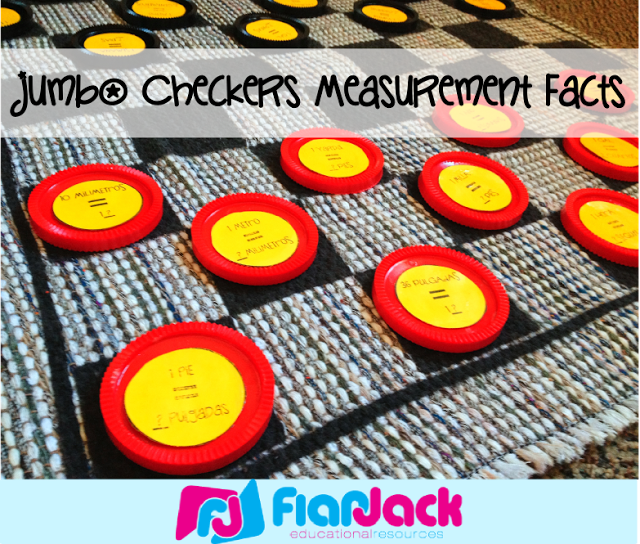 At a visit to Cracker Barrel the other week, I picked up the old-fashioned jumbo checkers rug game and converted it to a measurement facts game. 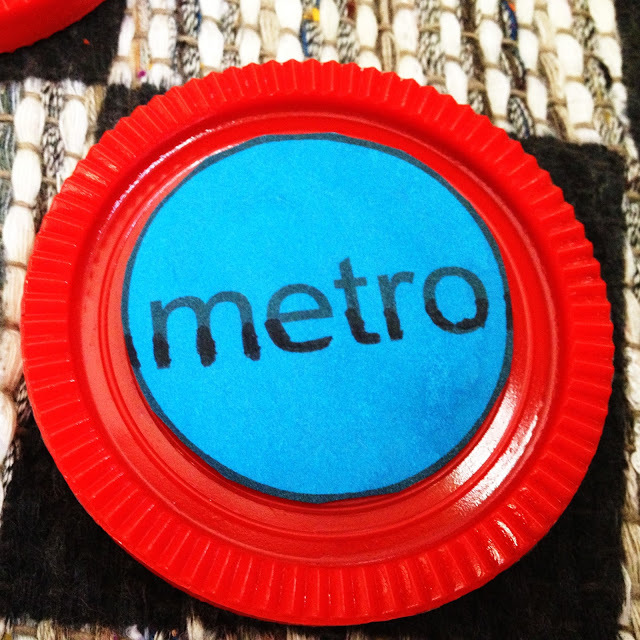 I made circle questions to go on the top and and answer circles to go underneath. You can download the circles in English or Spanish here. I printed them out on card stock, hot-glued them onto the checkers, and then covered them with Mod-Podge. I would not recommend that. They turned out looking pretty tacky. I’d maybe print it on sticky paper, laminate the paper, and then cut out the circles. I’m not sure, let me know if you have a better suggestion! To play, students just follow the normal rules of checkers, but every time they move, they must answer the checker they move. If there’s any doubt, they can look on the bottom side for the answer. If they answer incorrectly or don’t know the answer, they lose their turn. Hope you enjoy this way of making learning fun! Have you used checkers in an educational format? 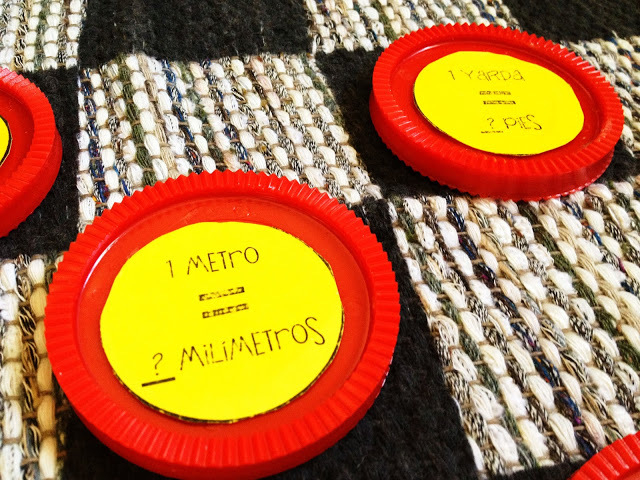 Here’s a guest post of mine for using Twister to practice measurement facts. At my TpT store, I’ve got Smart Board/Promethean games, QR Code Task Cards, and Poke Cards for practicing measurement, too! Thanks for the great idea! Maybe after laminating them you could attach them with Velcro. Then you could switch them out with other questions. This looks like a lot of fun! Thank you! Amazing idea!! I JUST inherited a giant checkerboard set and this is an amazing idea! I'm going to tweak it a bit to fit our the standards in Texas.